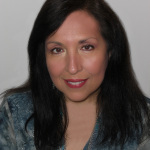 Today I am excited to share an interview with intuitive numerologist Kari Samuels. Numerology is a beautiful art and science that has a myriad of applications. There are endless possibilities for its usefulness. It’s very similar to it’s sister science, Astrology, which can be used for timing events, relationship compatibility, understanding a person’s spiritual lessons, psychology, and even karma! 2. How did you discover numerology and why were you drawn to it? I have always loved numbers! I used to love figuring out number sequences as a little girl. I was also always drawn to all things mystical, as long as I can remember. When I was in my late twenties, I began to discover my gifts as an intuitive, and started reading tarot cards. The tarot has such a beautiful intricate number sequence that my desire to learn more about the archetypes of the cards led me learn about numerology. I read in a tarot book how to discern someone’s Life Path Number and thought that would be a fun way to start my readings with clients. I was totally blown away by how accurate it was! I started seeing patterns in people’s lives based on their numerology and developed my own insight about the numbers through what I learned from doing readings with clients. The accuracy and insight the numbers reveal never cease to amaze me. It totally reinforces for me how divinely guided we are in the Universe. 3. What is numerology used for? Your name and your birth date are the map for your soul’s purpose. Every letter of your name (yes, letters are used in numerology too!) and every number in your birth date is a blueprint of your destiny. Letters and numbers are vibrations, they have a sacred geometry and vibration that shapes the way you experience the world. 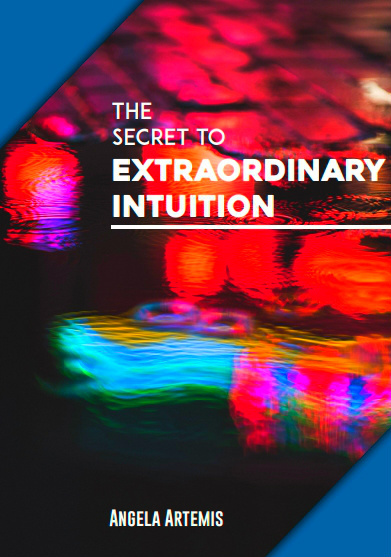 Your personal numerology reveals what your talents are, your abilities, how you experience your emotions, your intuitive gifts, your desires, challenges and opportunities. You can get a sense of what subconscious fears a person has. I can actually use numerology as a portal into people’s past life experiences. Karmic lesson numbers reveal traumas that a person has carried into a person’s life. It’s amazing what you can discover! You can also use numerology to find the best time to plan an event or product launch that would be fortuitous. It can be used for naming projects or people, and finding the most harmonious home – since all houses have numbers as identifiers. 4. What can numerology predict? Numerology forecasts are similar to weather forecast. You can discern what energy will be influencing you at different times. There is really a season for everything -for action, rest, creativity, logic, stability, adventure. Numerology helps us with all of this. We have personal cycles and global cycles. For instance, all of 2013 we are influenced by the number 6, since 2+0+1+3=6. 6 is the number of balance, harmony, relationships, and family responsibility. Balance is a theme in so many people’s lives right now. Particularly since last year was a 5 Universal Year, and 5 energy always loves to rock the boat. We had a lot of that in 2012! Since the numbers change around the world every day there are Universal cycles and Personal cycles that can be determined with numerology. It helps to know not only how to plan appropriately, but why things are happening. 5. Can you give us a brief synopsis of the numbers 1-9 and their meanings? This is one of the reasons I love numerology the most. There are only 9 numbers to learn! 6. What are master numbers? Does seeing repeating number patterns mean anything? Master numbers are the double digit numbers 11, 22 and 33. They have a broad range of potential that requires mastery to channel properly. They require going through many lessons to realize the fullest benefit, so both the challenges and rewards are immense. Spirit Guides often communicate through number sequences to get our attention! It’s a way that we can know that we are in sync with our divine purpose, or that we need to get more on track! If you use apply the general meanings of the numbers, you can get a sense of what messages your Guides are sharing with you. 7. What does a numerology reading entail? Each numerologist will have their own unique way of interpreting the numbers. Since I am an intuitive numerologist, I use the numbers in your birth chart to help you understand your life purpose, why you have experienced the circumstances in your life from a spiritual perspective, and what gifts you have chosen to share with the world. 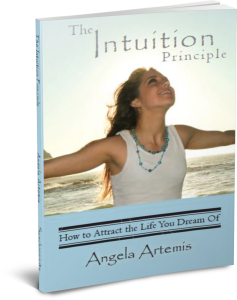 I can also help you understand any subconscious blocks you have from manifesting your gifts. I’m also an energy healer so I would help you in clearing those patterns as well. 8. How can readers get in touch with you if they’d like a numerology reading? I have so many resources for you! I have a Facebook and Twitter page where I share your daily numerology forecasts, I do monthly Youtube videos, and I have a completely free ebook, “Numerology Guide to a Happy Life” that helps you find and interpret, in detail, everything I discussed here today. You can get this by signing up for my newsletter at www.karisamuels.com. I love sharing this information with people! Share your questions for Kari. Have you ever ever calculated your “numbers?” Did they make sense for your life? If you enjoyed this post please share it on Twitter, Facebook and Google+. Thank you. P.S. 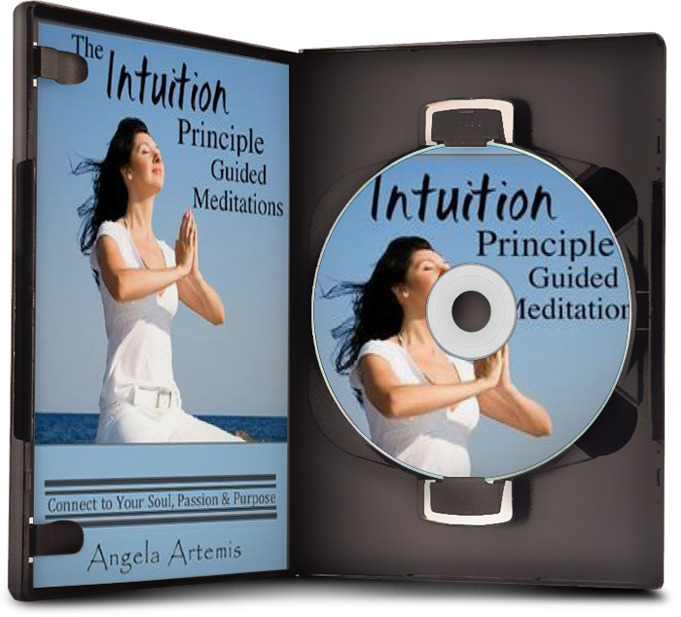 To learn how to guide your life using your own intuition: Click here. Several years ago, I stumbled across a book, I See Your Dream Career. It was a life changing book for me because I was at a crossroads with career and life purpose. After reading the book which is based on numerology and your life path, I scheduled a reading with author, Sue Frederick. I love the little I know about numerology. I have Doreen Virtues Angel numbers book and refer to it often. What makes me take notice is when I see the time at 5:55 – change is afoot! Strangely accurate! Great interview – thanks! I too find numerology fascinating. Cool! 5.55 – that sure is the number of change, isn’t it? So glad you enjoyed Kari’s interview! Yes, I too had a real strong interest in numerology years ago as well. While I don’t practice it, I definitely believe in it. Thank you so much for stopping by and commenting. You are so welcome Suzie. I love numbers and they seem to be making a comeback 🙂 I also have a free numerology ebook – you can get it by signing up on my website. I love sharing this with people. I really enjoyed your interview Kari and Angela! I love the synopsis of the meaning of the numbers. I also made balance the theme for this year so I was amazed when I read that in your interview!! I’m very excited for my 50th birthday this year which is 3/13/13 (born with another 3 in 1963). I feel like it’s going to be a lucky birthday and year! Isn’t numerology amazing? I too decided I had to find balance in my life this year. There are so many “invisible forces” at play in our lives. It’s amazing when the manifest so similarly for all of us. I’m glad you enjoyed this interview with Kari. Thanks for this Angela. I have always believed in the wisdom of numerology, though I knew little about it’s workings. But the universe–everything art, music, science, language are arithmetic in structure so it just makes sense that numbers have meanings. You are so right. Numbers have meanings and all science relies upon them so, it makes sense that the numbers of our birthday or name mean something too. Oh yes, the more you know about numerology the more awe-inspiring the rhythm and precision of the Universe. I love your association with art, music, science and language – all true! The planet Neptune governs both math and music. Pretty cool! I have never had a numerology reading, despite trying so many different kinds of readings myself. So I find the interview answers very interesting! It is amazing to know how numbers in our birth chart can tell us more about our life purpose. It is also nice to know that 2013 is about love, family and balance….exactly the things that I have been hoping to address since the start of the year. I”m glad you enjoyed this interview with Kari. I’ve always been interested in numerology and calculated my “numbers” too. I think it is accurate. I also find it very interesting that when we marry and change our names the numbers change – We change when we marry so it makes sense, doesn’t it? I too am glad that 2013 is about love, family and balance too. I couldn’t take another 2012 again! I had a numerology reading a few years ago on a trip to Costa Rica. I thought it was interesting and I learned a few things about my life. I tend to go with the number 3. It’s the day that I was born and I seem drawn to it whenever there is an opportunity to choose a number. Thanks for sharing this interesting interview, Angela. I’m glad you enjoyed this post. I too think numerology is fascinating. I have a girlfriend who “sees” 3s everywhere she goes. I’ve been seeing 11 a lot lately. Hi Cathy! So wonderful you had that experience. I am a very 3 person myself. They are so empathic! It’s definitely a happy loving vibration!